Hampshire Police say M27 drink driver banned For 14 months. 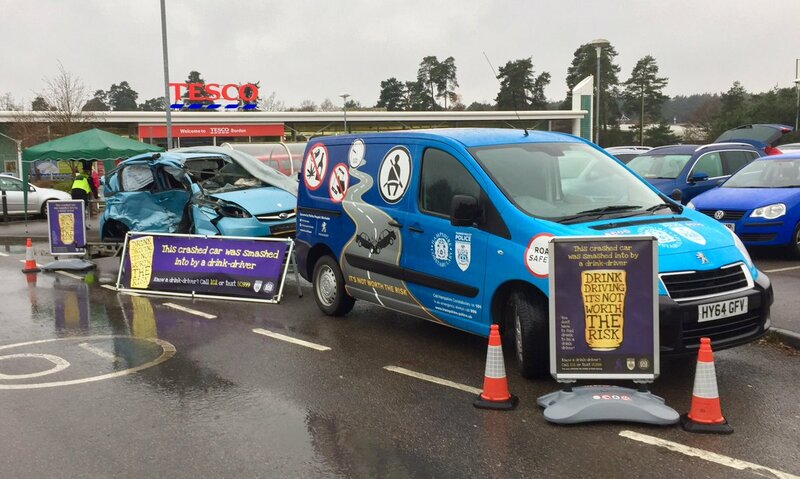 It comes as a team of officers are going to be out in Borden at Tesco in White Hill with a car crash display warning drivers not to drink and drive. “The importance of personal responsibility for your choices must be emphasised. Think about the pain and misery you could inflict on innocent road users by a reckless decision to drive or ride after consuming alcohol or taking drugs. “Being caught in control of any motor vehicle under the influence of drink or drugs can destroy your own life. “Motorists breaking the law can face a criminal conviction, a prison sentence, driving ban, and the loss of your job. “The morning after is also a crucial time for your decisions and the safety of all road users. “After just four pints of lager, you may not be safe to drive for up to 13 hours, so whether you are drinking in the afternoon at a works Christmas party, or going out for a few drinks in the evening, make sure you are safe to drive.